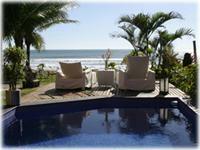 Based just outside Puerto Viejo, the property is located steps to the warm waters of the caribbean ocean. Enjoy the jungle life and experience the pristine sandy beach with breathtaking ocean views... A paradise for beach and nature lovers!The property features a fully furnished 3 bedroom villa (equipped with AC*). Pachira Lodge is the best Lodge of the area only five minutes from Tortuguero Costa Rica National Park and 2 minutes from Tortuguero Village. Package from one to three days, including transportation San Jose Tortuguero San Jose, lodging tortuguero and tours in the most important touristic rainforest in the Caribbean side of Costa Rica hotel. Pachira Lodge Tortuguero is the best option for your vacations. Hotel Presidente offers room rates thats include: American Breakfast for our guests, Color TV with 52 cable chanels (HBO, ESPN, CNN, NBC, FOX), Electronic phone, messaging service, Air conditioning in every room. Come and enjoy our "fun and games" : Rummy (Variety of Black Jack), Tute (Caribean Poker), Canasta (Variety of Roulette). Come and visit Hotel Presidente, Costa Rica. 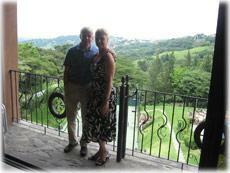 The Hotel Herradura Resort and Conference Center exemplifies this "Spirit of Costa Rica." Herradura Hotel and conference center have a service between the Herradura and San Jose and child care to help you plan every detail of your stay in Costa Rica. The Hotel Herradura has Central America's largest and most modern Convention and Conference Center. The elegant main salon with lush carpeting and crystal chandeliers can accommodate up to 2000 people. Hotel Herradura, Costa Rica. 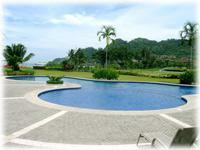 Casitas Eclipse are located in Manuel Antonio area just 1 mile from Manuel Antonio National Park. 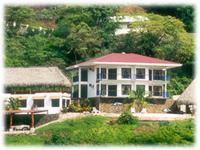 You will find 25 rooms in Casitas Ecipse Hotel the colorful exotic gardens are spacious accommodation in three styles. You can visit Manuel Antonio beach and Quepos from Casitas Ecipse Hotel. Come and enjoy Costa Rica in Casitas Eclipse Hotel in Manuel Antonio Beach and National Park.